So excited to start Metal Month with Fade To Black!! August is going to be so awesome with new guitar covers every Tuesday, Thursday and Sunday! 14 new covers!!!! ROCK ON!! If you make a guitar/bass/vocal/drum cover this month, use the hashtag Metal Month and I'll check out as many as I can!! Help support me with $3 per month, and get an extra cover on Patreon! 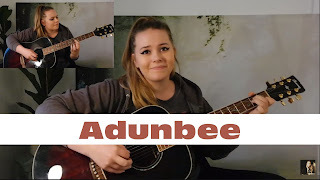 Link: https://www.patreon.com/adunbee My social media: Instagram: https://www.instagram.com/adunbeex/ Twitter: https://twitter.com/Adunbeex Facebook: http://on.fb.me/1JlGiDi Second channel: http://bit.ly/1P2Ar7n New video every THURSDAY!! Thank you for watching!! ROCK ON!!!! \,,/ Disclaimer!! All rights goes to the rightful owners! !